HTC has announced the Butterfly S, a large screen device packing the same UltraPixel camera as seen in the HTC One as well as a front-facing 2.1-megapixel, wide-angle video call lens. Powered by a 1.9GHz Qualcomm Snapdragon processor backed by 2GB of RAM, the handset supersedes the HTC Butterfly J and is expected to come with the same 5-inch, 1920 x 1080 pixel resolution Super LCD3 touchscreen covered in Gorilla Glass. 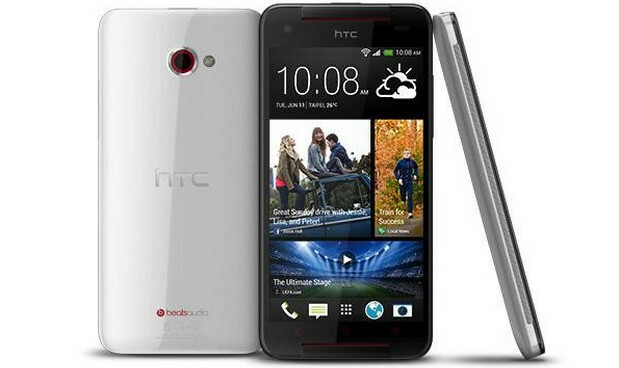 Running Android 4.2 Jelly Bean with HTC Sense 5 placed over the top, users can enjoy bespoke features like BlinkFeed, HTC Zoe and HTC Share, with the unit promising good sound thanks to the inclusion of HTC’s BoomSound amplifier, stereo speakers and Beats Audio enhancements. The HTC comes with 16GB of storage space, a microSD card slot, NFC, Bluetooth 4.0, and a hefty 3200mAh battery. The Butterfly S will go on sale in Taiwan this July, where it will cost the equivalent of $765, and is expected to flap its little wings and go off and discover the rest of the world in good time.